How to cook asparagus seems to be gathering a renewed interest; more specifically how to cook fresh asparagus. This is very interesting, because the diet of many people is quite lacking in fresh vegetables and fruits. There is great nutritional value of vegetables and this very much applies to asparagus. This vegetable is found in documents dating way back to ancient history. It was used for medicinal purposes as well as just vegetable recipes to be eaten. 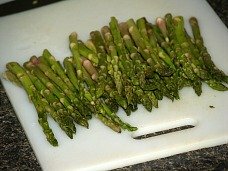 Many people learn how to cook asparagus because it is very low in calories and is great to eat when trying to lose weight. Of course this depends on the cooking process which you choose to us. 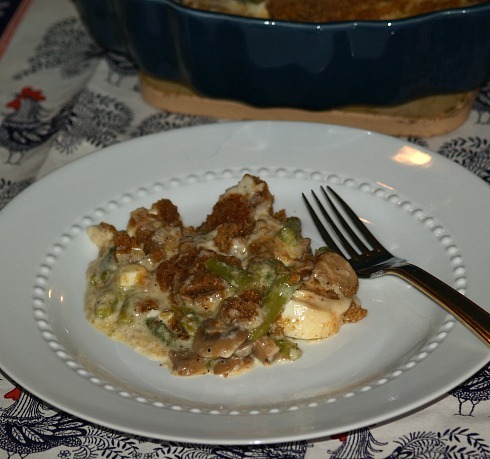 Many of the asparagus casserole recipes are loaded with extra calories because of the many delicious ingredients that you use in them but these recipes are so delicious. Asparagus is a good source of vitamin B, calcium, magnesium and zinc; also a good source protein, fiber and vitamins A, C, E and K. These reasons alone are a good reason to add this vegetable to your diet. Another reason to learn how to cook asparagus is because of the wonderful flavor. Asparagus grows wild in many areas in the middle United States. In the spring time one can walk along the river banks and roads and pick fresh tender asparagus. Each spring when I was little, even before Dad started the garden, I would walk with Mom down the road and along the river to pick this great vegetable. If you know how to cook asparagus, you probably know that like other vegetable recipes they can be made in many different ways. Although we usually had this asparagus creamed the most popular way to fix it is to cook quickly and only until it is still crisp. This quick process of cooking preserves the vitamins and nutrients making it healthier to eat. 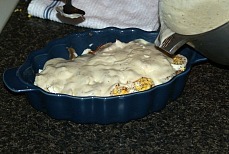 Butter a casserole baking dish. 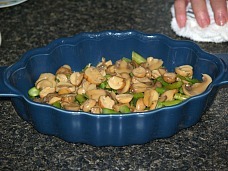 Place asparagus, mushrooms and egg slices in layers; sprinkle with salt, pepper and paprika. Pour cheese sauce over all. 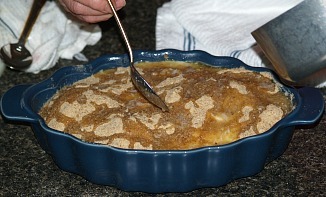 Spread top with bread crumbs; top with melted butter. 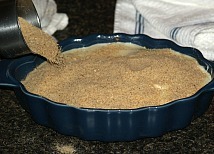 Bake for 20 to 30 minutes or until top is brown and mixture bubbles. Add flour, salt and pepper; stir until well blended. Remove from heat and gradually stir in the milk. Return to heat and cook while stirring until thick and smooth. 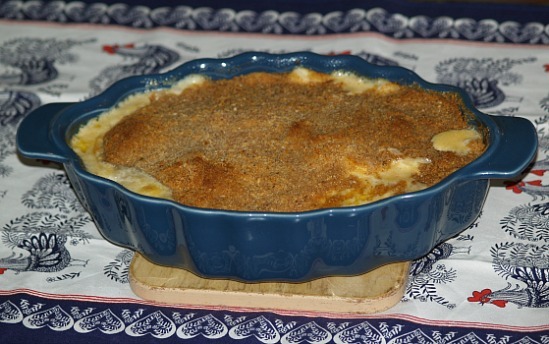 For cheese sauce recipe, stir in 1 cup grated Cheddar cheese. Boil asparagus in salt water until tender; drain. In a skillet sauté asparagus in olive oil for a few minutes about 4. 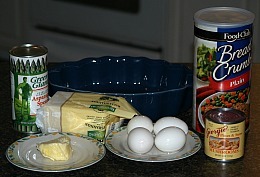 Beat eggs in a bowl with Parmesan cheese; add salt and pepper to taste. Pour egg mixture over the asparagus; let it cook without stirring until egg mixture sets. Lift slightly with spatula to allow uncooked egg to flow underneath. When bottom of frittata is golden brown cover with a large platter and flip skillet over. Slide frittata from the platter back into the skillet allowing the other side to cook to golden brown; serve immediately. Try this easy and simple cold soup recipe if learning how to cook asparagus. Combine broth, asparagus, sour cream, cayenne; blend to a puree. Strain and chill; serve with chopped cucumber and seasonings. When learning how to cook asparagus, try this salad as a great first course. The hot mustard sauce recipe is delicious and is great to serve in other recipes replacing the hollandaise sauce. Put hard cooked egg yolk in blender; add raw yolk. Add mustard, vinegar, salt and cayenne; add oil while running blender. Blend until smooth and thin. Drop asparagus in boiling salt water to cover and cook until tender but still crisp 5 to 7 minutes. 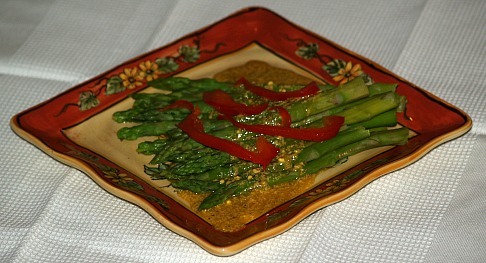 Drain asparagus; divide among 6 salad plates and spoon mustard over asparagus. Garnish with red pepper slivers.